Parking is available near the restaurant. 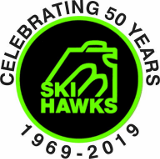 For any further questions, please contact Vice-President of Toronto Ski Hawks, Ramya Amuthan. Bring your friends and family, and embrace the exhilaration of dining in the dark! Complete the secure form below to purchase your tickets, and choose your meal. Limited ticket availability - 60 people.